Brunswick-Barbara W. (Etter) Romano passed away at her home in Brunswick on August 24. 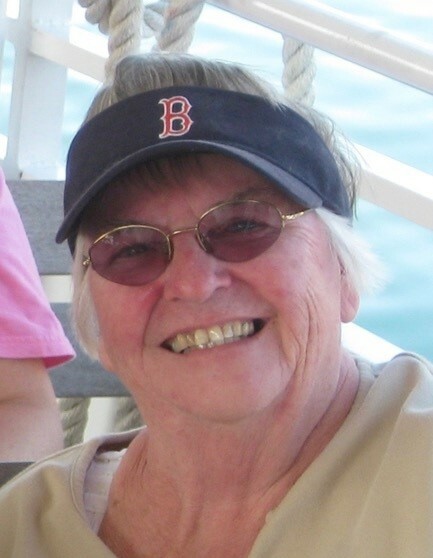 She was born in Portland on August 9, 1935, to Harold and Muriel (Howard) Etter, and lived her childhood years in Bar Harbor. As an only child, she spent countless hours exploring the rocky beach just steps from her Hancock Street home. In her teens, the family moved to South Portland, where she graduated high school. Soon after, she married Ronald O. Romano of Portland and they were together for 62 years until his death last year. Barbara often said that her greatest accomplishment was raising her three kids. As a cat-lover, she also cared for dozens of cats throughout her adult life. In the midst of raising kids (and cats) and keeping house, she held a variety of secretarial and bookkeeping jobs, but her true passion was running her own antiques business for 30 years. Barbara loved buying and selling antiques and even managed her own weekly flea market for a few years. Throughout her life, Barbara was a dedicated and active Methodist, most recently a member of the Lisbon United Methodist Church. She loved — and was loved by — many of the kind caring people working at her home, Dionne Commons in Brunswick. She learned of her terminal illness just a few weeks before her death, but remained courageous and strong, and was able to say many “good-byes” to family and friends. Barbara leaves behind her daughter Rae Rachel Romano of Falmouth; her son Ron Romano and his husband Chuck of Portland; her daughter Mary Liberty and her husband James of Windham; her cherished grandchildren Seth Romano of California and Molly Brown of Massachusetts; and her great-granddaughter Sydney Romano of California. Visiting Hours will be held on Wednesday, August 29, 2018, from 4:00 pm to 6:00 pm at A.T. Hutchins Funeral Home 660 Brighton Avenue, in Portland. A memorial service will be held on Thursday, August 30, 2018, at A.T. Hutchins Funeral Home at 2:00 pm Pastor Elizabeth Bachelder-Smith will officiate with the Reverend John Romano. Burial will be private at Mount Pleasant Cemetery in South Portland.